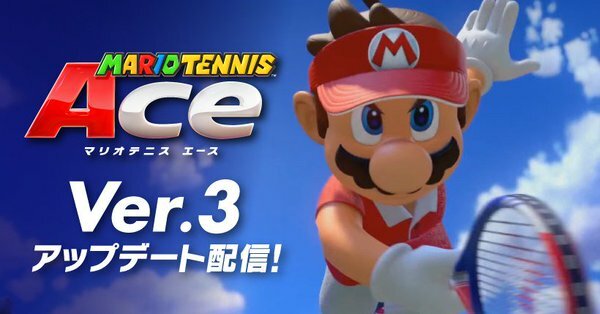 Mario Tennis Aces has received a steady stream of updates since its release in 2018. From new characters to modes, the game has seen numerous additions that all serve to make it just that bit less barebones than it was back at launch. And today another major update was released for the game. Namely, version 3.0. But that’s not all that’s changed. Oh no, a new mode was added to the game too. Namely, Ring Shot mode, a returning mode from previous Mario Tennis games that has players try to hit the ball through rings above the court. It’s not the most exciting addition overall, but it’s one with quite a bit of depth to it none the less, with singles and doubles supported along a Yoshi specific mode and some nice co-op challenges. Add this to Purple Yoshi being an unlockable character in said mode, and you’ve got a pretty neat distraction overall. And that’s not the only colour of Yoshi you can get here too. No, thanks to the latest online mode being the same ring shot setup, you can also get blue, orange and pink Yoshis too. Other additions include a new ‘Ace’ rank for online tournaments, changes to character skills and abilities overall, the option to do things like choose which side serves first and balance tweaks for various other courts and modes. So if you own Mario Tennis Aces, check out the full list of changes in the Mario Wiki article here, and perhaps give the game another go. It may provide a bit more to enjoy this time around.